I made this cheesecake from the recipe on Smitten Kitchen twice already this holiday season and it was a raging hit each time. 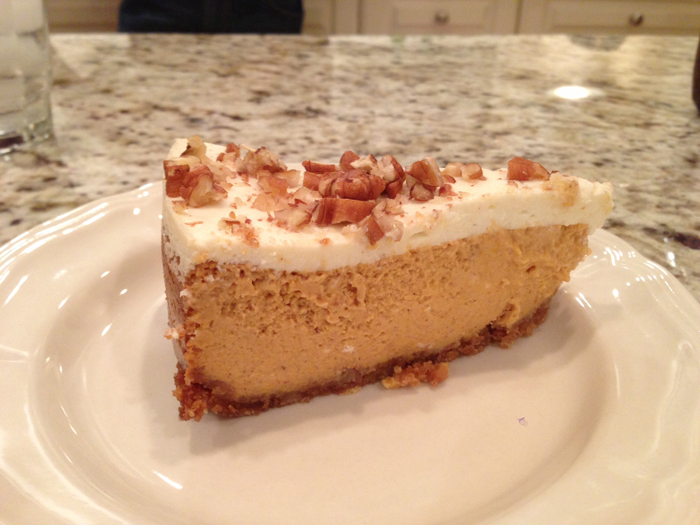 It is rich and delicious and a great alternative to pumpkin pie. You can see her cheesecake is the first one and my cheesecake is the bottom 2 images. 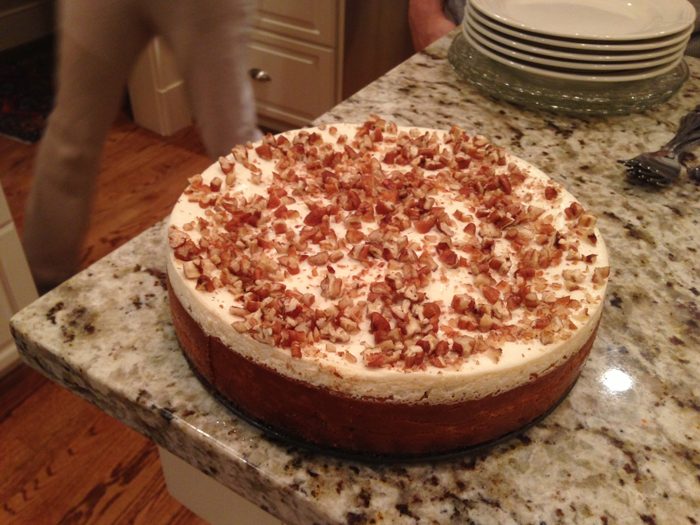 The only thing I changed from hers is that I chopped up the walnuts and put them on top just after taking the cheesecake out of the oven. I just think that whole walnuts look like roaches so I can’t put them on top of anything. You can also make this without the alcohol if you want. Be warned, the recipe calls for 7 hours of cooling time. I did cut it down because I was in a rush. I let it stand at room temperature for an hour, I then put it in the fridge for an hour and then into the freezer for an hour. That worked out pretty well. You could also make this a day ahead and then you would have time for it to cool and you wouldn’t be running around like a crazy person. You will be adored if you make this and probably be expected to make it every year after.